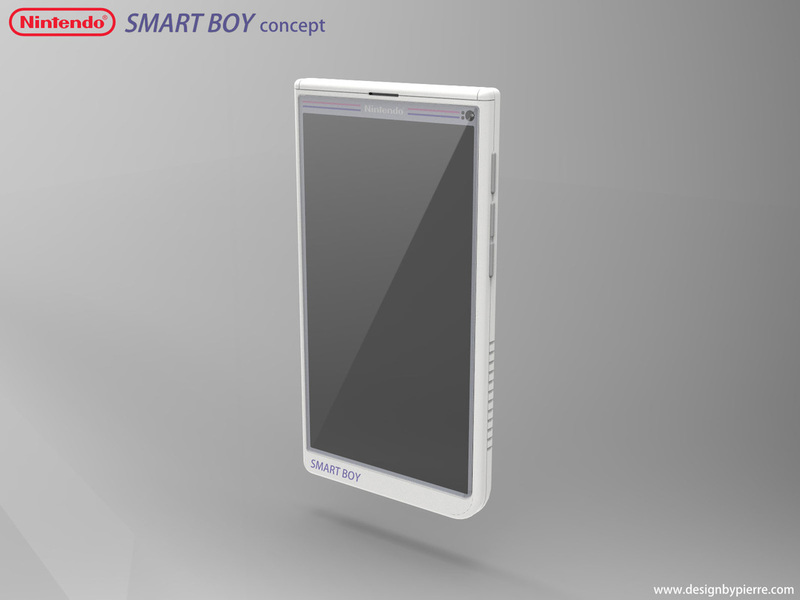 Following the success of the Macintosh Phone, Gizmodo asked me to design a smartphone based on a classic gadget chosen by there readers. 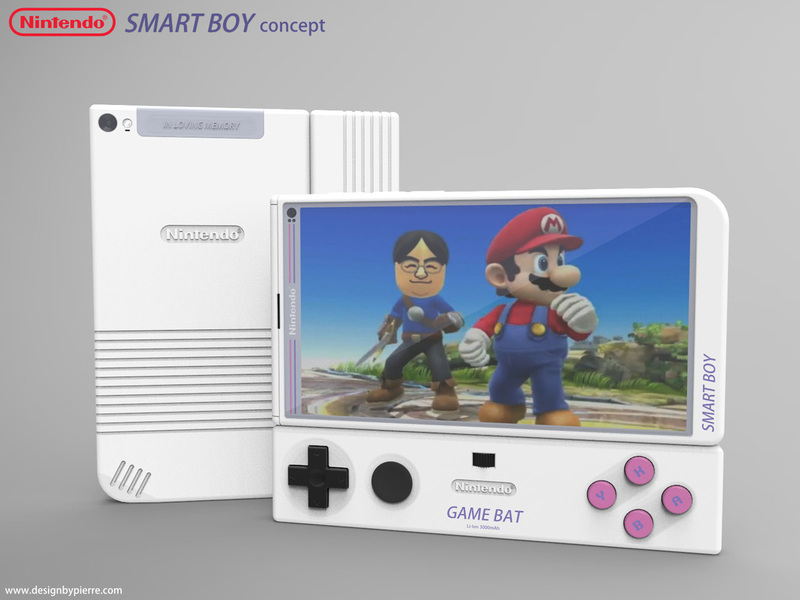 Out of all the suggestions, the Game Boy seemed to be the most interesting base for a new concept. 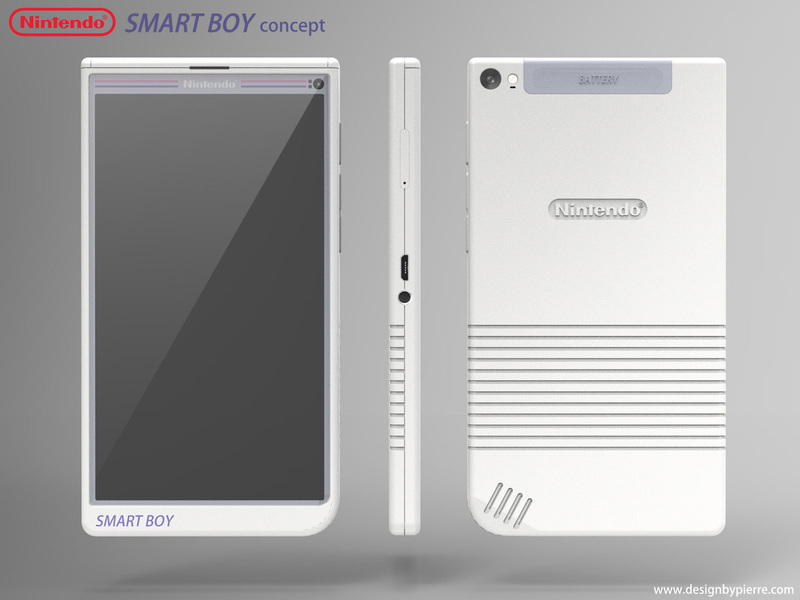 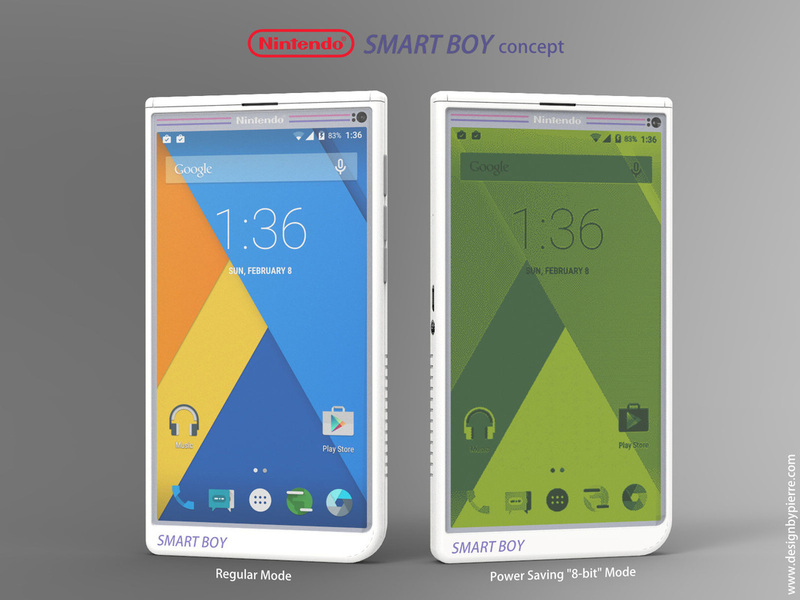 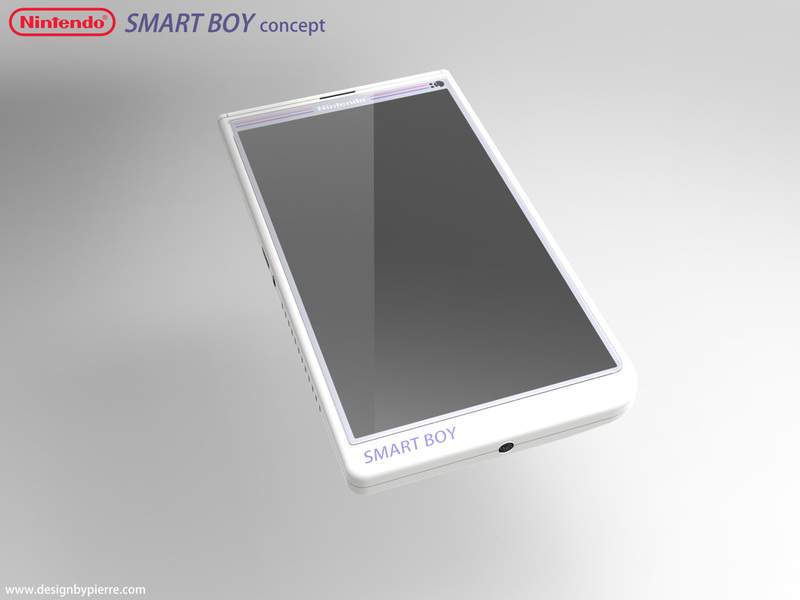 The result was the Smart Boy: a smartphone infused with the gaming essence of Nintendo. 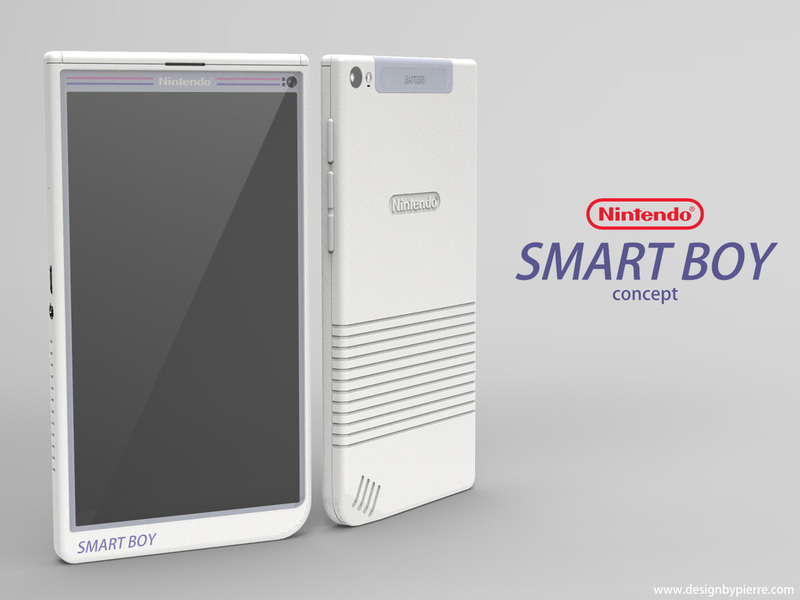 Overall design inspired by the classic lines of the Game Boy. 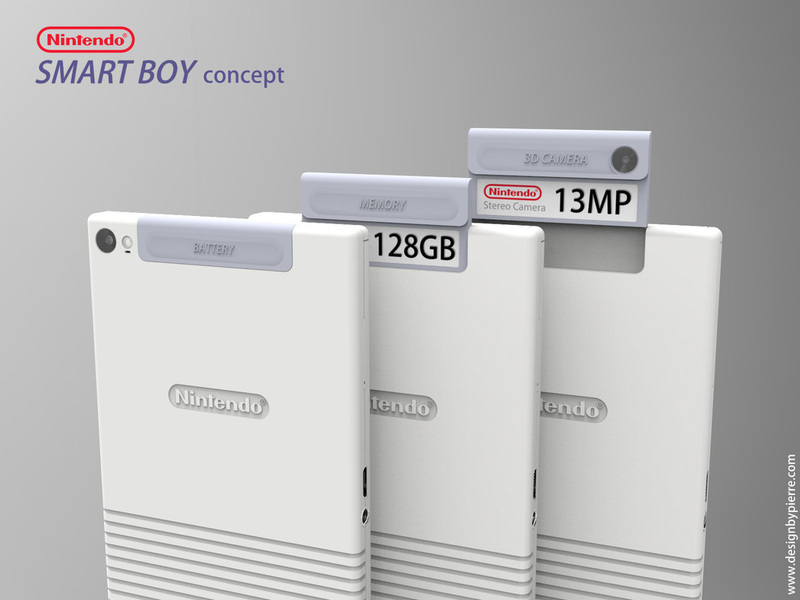 Expansion slot inspired by the Game Boy's cartridge system. 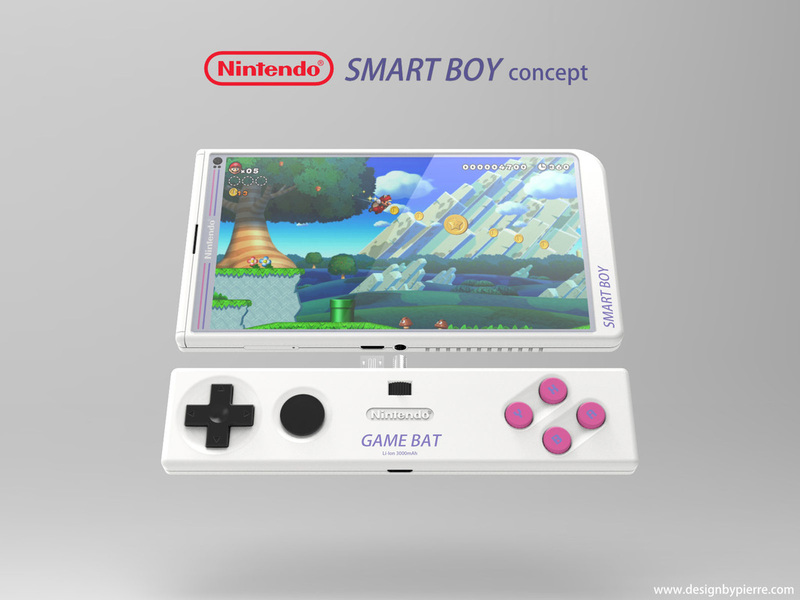 Screw-on "Game Bat" which combines a game controller to an external battery pack.